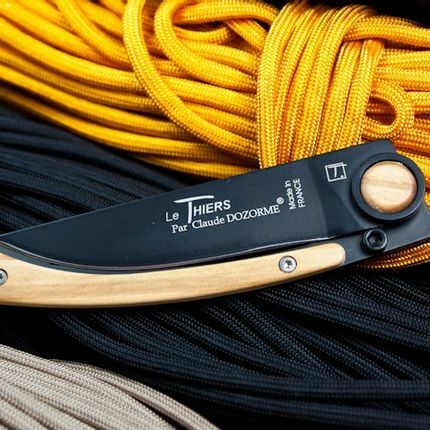 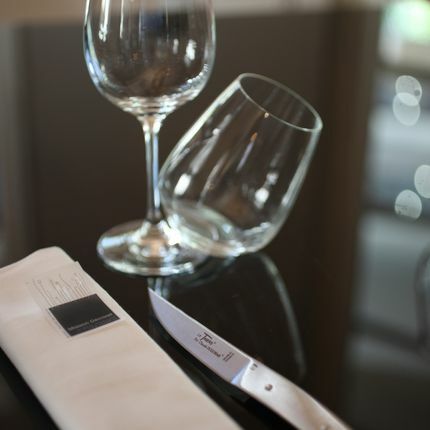 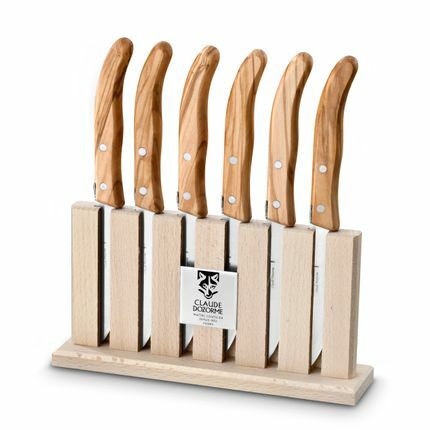 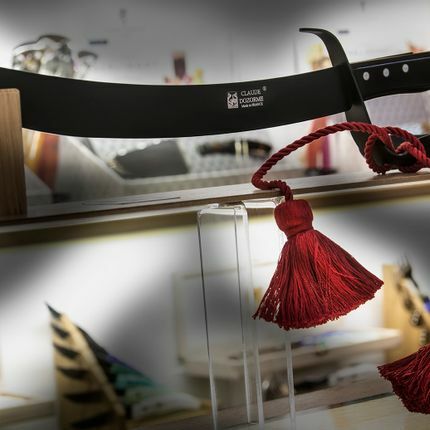 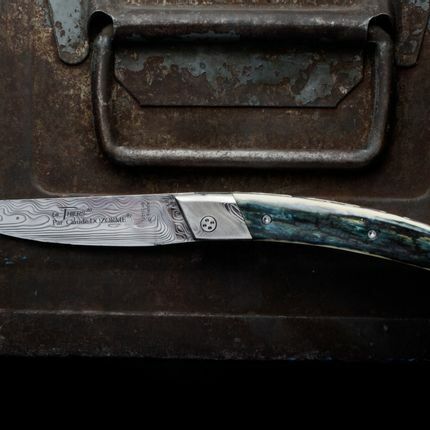 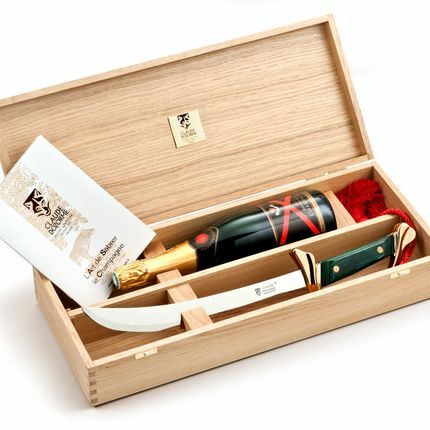 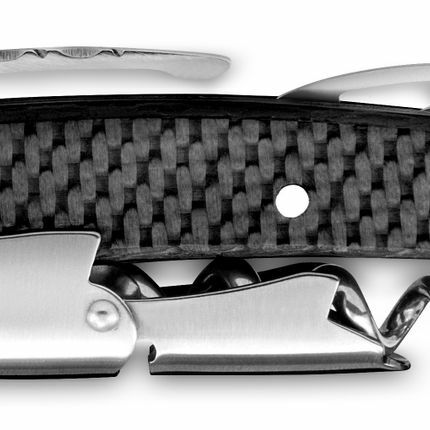 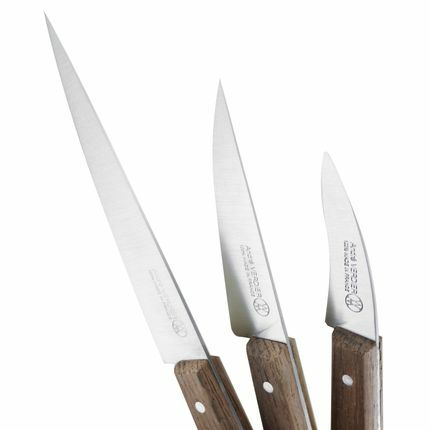 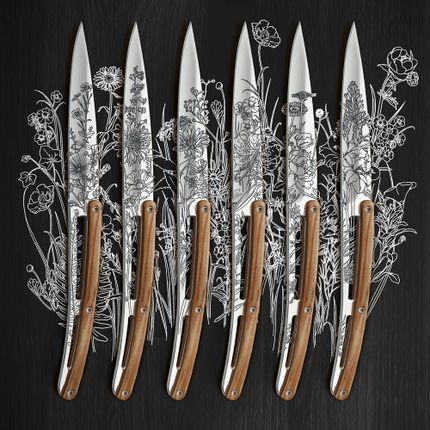 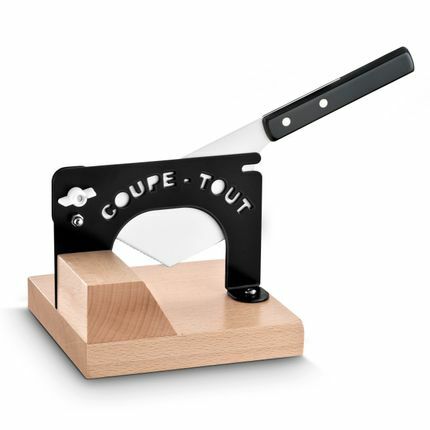 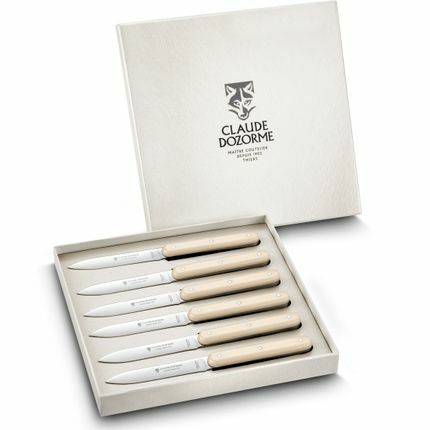 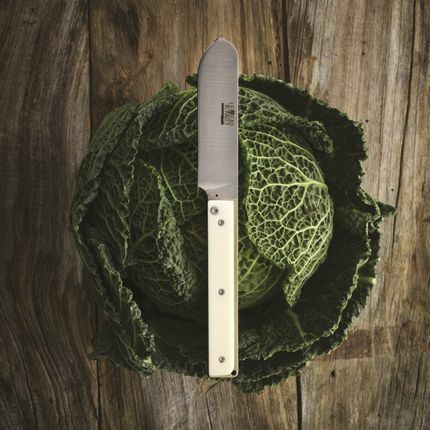 The Thiers Thomas Bastide knives from the Claude Dozorme house are entirely made in France in its workshops. 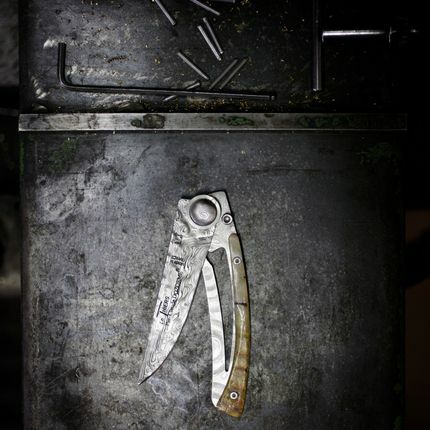 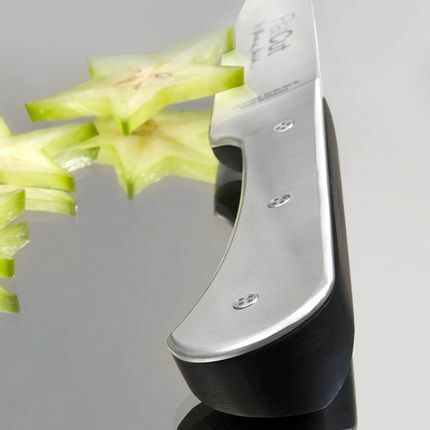 Their blades are manufactured with a high-end steel X50CrMoV15 with a smooth edge that allows a very easy regrinding. 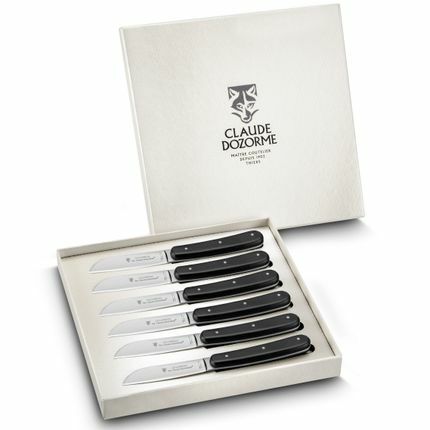 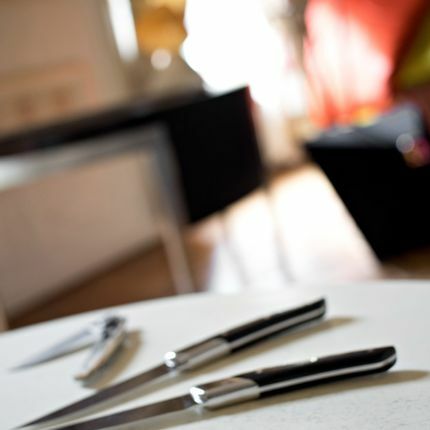 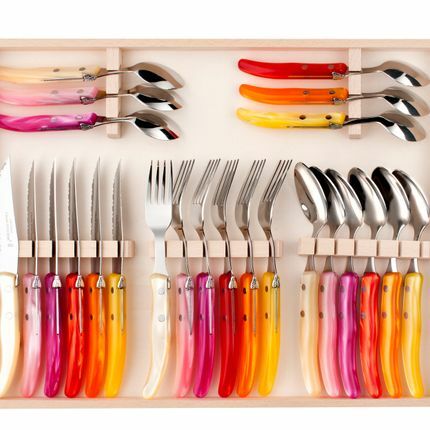 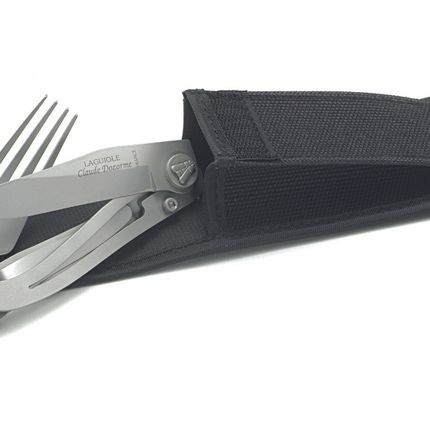 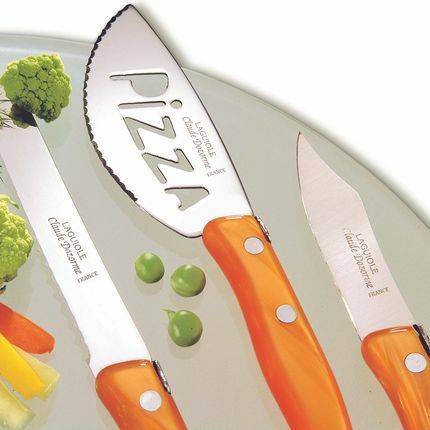 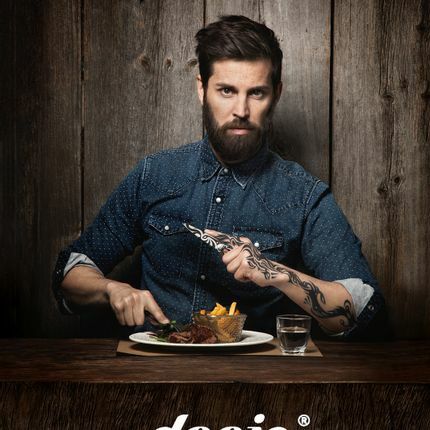 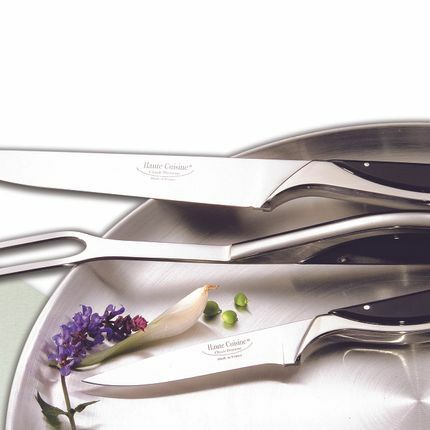 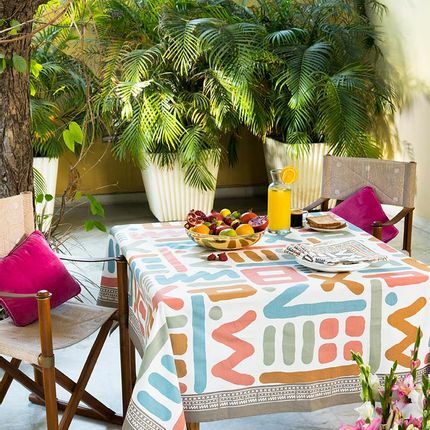 The shape of this line of this table knives from Claude Dozorme was designed by a renowned designer: Thomas Bastide, it allows a grip very comfortable and ergonomic.The original shape of the tilted handle on the back also prevents the blade from touching the tablecloth.Bakelite handle is compatible with a dishwasher care.